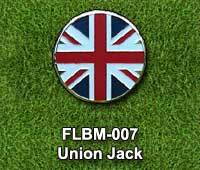 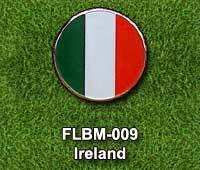 Our British Isles ball markers include flags from England and Ireland plus one of the Union Jack. 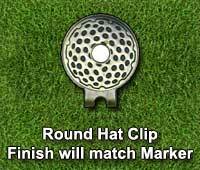 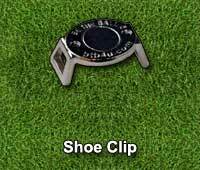 Each of these golf ball markers are available with or without Swarovski Crystals. 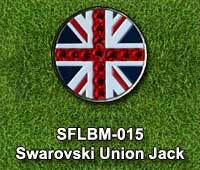 The Union Jack flag with or without red Swarovski Crystals. 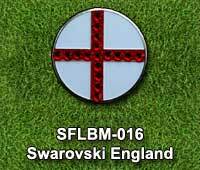 The English flag with or without red Swarovski Crystal highlights. 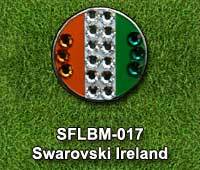 The Irish flag also comes with or without red, green and clear Swarovski Crystals highlighting the 3 stripes in Ireland's flag. 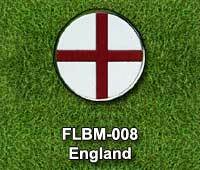 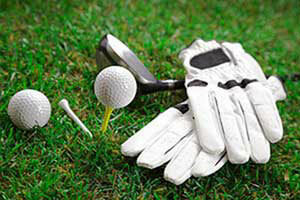 Show your British Isles heritage on the golf course on National Flag Day or any time.